Children and young people will take part in two fun workshops to discover what crime and punishment was like in Victorian times, and what it is like today at Bankfield Museum on Saturday 14 April, 12:30pm-3:30pm. They will also design a themed T- shirt during an art and textiles workshop. The fun day is designed for children and young people who are currently in care, aged 5-16 from across West Yorkshire, to attend with foster carers / residential staff. 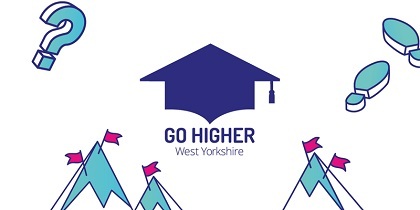 The aim is to offer looked after young people opportunities to explore what their future could hold in a fun, interactive and age appropriate way, while gaining exposure to higher education professionals. The session is FREE but places are limited so please book at Eventbrite.